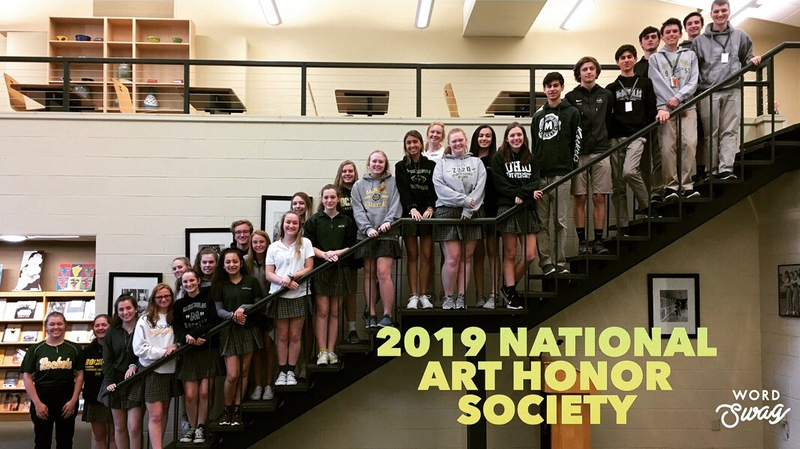 McNick students are required to have forty hours of service prior to graduation, and many students go above and beyond this requirement. While McNick offers many service opportunities, students have found ways outside of McNick to get involved. Senior Jacob Fries volunteers with Churches Active in Northside, (CAIN) which holds monthly dinners for those who often cannot afford a full meal. Volunteers usually arrive at 5:30 p.m., then serve the meal around 6. “It’s always awesome to see all the people who are so thankful for the food that is provided for them, and usually the people you are working with to serve the meal are just as happy to see you,” Fries said. To get involved with CAIN, students can visit their website and enroll. “Being able to do service in an environment with great people is a very enjoyable experience,” Fries said. Junior Soren Koch-Hutchinson recently went on a weeklong service trip to Appalachia with his youth group at Bellarmine on Xavier’s Campus. “I was assigned to the project of fixing up this family’s mobile home to help them prepare for the cold of winter. [I worked with] about ten other people on this site for the duration of our time there,” Koch-Hutchinson said. “My more focused job was attaching metal skirting onto the bottom of the mobile home. By doing this we decreased the chances of animals getting into their house and the cool air flow under their house,” he added. To get involved with a youth group, students should talk to their parish to see what they offer. “I have a lot of fun with it because I have some friends involved. That helps for sure,” Koch-Hutchinson said. Junior Natalie Martinez volunteers at her local library after school. “I went to the library a lot as a kid, and it was just a nice way to give back to a place that gave a lot to me,” Martinez said. She tries to volunteer once a month for about three hours. While she’s there, she shelves materials like books, movies, and audio tapes. Check with your local library to see their volunteer opportunities or, go to Clermont County Library’s website or Hamilton County Library’s website. Senior Jordan Minardi volunteers with her family at the Ronald McDonald House. Her family goes twice a month to help serve meals to families or clean rooms when families check out. To get involved, contact the House and set up an interview. If accepted, volunteers are put on a schedule and have the opportunity to work the front desk, clean rooms, work the kitchen, and/or serve meals. “It’s a really good and really rewarding way to get involved,” Minardi said. Junior Lauren Mindrum volunteers at Camp Stepping Stones, a camp for children and teens with disabilities. Volunteers spend time with the children and teens, helping them have a great experience at the camp all while gaining service hours. “I do it because I love working with children. It is such a rewarding experience, and it is an amazing community,” Mindrum said. To get involved with Stepping Stones, students can apply on their website. Senior Evan Pour volunteers with Matthew 25 Ministries, an organization that works with those in poverty and who have been the victims of a natural disaster around the US and the world to help them get the resources they need. They accept monetary donations, plus gently used clothing, toys, school supplies, and non-perishable food items. Volunteers usually sort and package the items that are donated so that the items are ready to be shipped where they are needed. “I’ll volunteer for a couple hours, and do whatever they need me to do,” Pour said. To get involved with Matthew 25 , students can visit during their operating hours or schedule a time with a group. Senior LiEllen Rhame volunteers at Sweet Dream House Rescue, a non-profit, no kill, and all breed animal rescue. “I got involved because I wanted to work with animals, but a lot of rescues wouldn’t allow me to volunteer because I was too young at the time,” Rhame said. It is run completely by volunteers so they are always looking for new helpers, fosters, and donations. Volunteers spend time playing with the animals, walking dogs, cleaning cages, helping at adoption events, etc. To get involved with Sweet Dream House Rescue, either call or fill out an application via their website. “We are always in need of volunteers [at Sweet Dream House Rescue],” senior LiEllen Rhame said. “It’s great because you just show up and then you get to play with adorable dogs and help them get adopted,” she added.